Publican Quality Meats's Joe Frietze has a bone to pick with the way you're prepping meat. Whether you're cooking steak or chicken on the grill this summer, chances are you're going to be mixing up more than a few marinades. But marinades require advance planning, and, according to Joe Frietze, chef de cuisine at Chicago's Publican Quality Meats, they're not actually all that great. "Truth be told, I’m not a big proponent of marinades," Frietze says. "I like my animal to taste like the animal it's supposed to be. It's the purist in me." That makes sense, considering the high-quality meat he uses at PQM, which just opened its patio for the season, and the care with which he approaches it. First, thin out your favorite marinade to the consistency of soy sauce, and keep it close at hand. Then, when you "start cooking your piece of meat on the grill, have your newly thinned-out sauce in a container next to you, and every couple of minutes, take your meat off the grill with your tongs and dip it in the marinade. Then put it immediately back on the grill," he instructs. "The meat will carry with it liquid, which will flare on the grill and give you more of that carbon you want and simultaneously impart flavor from the marinade." 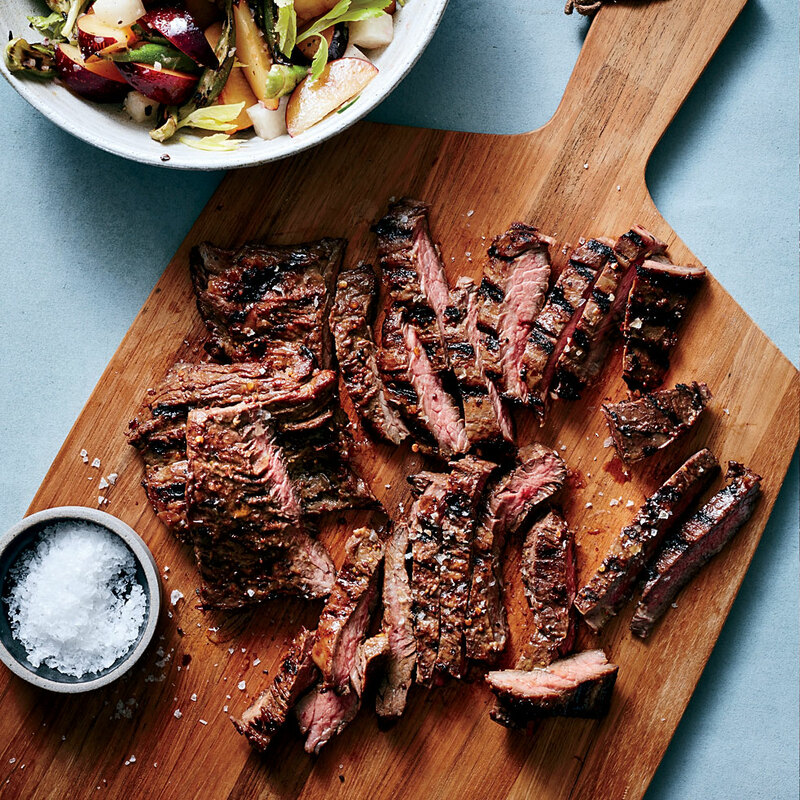 If you're used to marinating meat for hours before grilling, this is a really simple change to your routine that will, of course, remove the planning phase out of the process, so you don't have to stress about remembering to marinate your meat way ahead of time. It's best for cuts of meat that are close to the diaphragm, like flank steak, Frietze says. And that's not all: When your meat is cooked, you can't forget to rest it, either. But instead of letting the piece rest on a plate, let it rest in the marinade. Think of it "like lying down on the floor versus lying down on a bed with pillows," Frietze says. So next time you're thinking about marinating that meat before grilling, thin some out for dunking and set the rest aside for after the meat is cooked. "I guess I just like doing things backwards." Sounds like the right way to us.